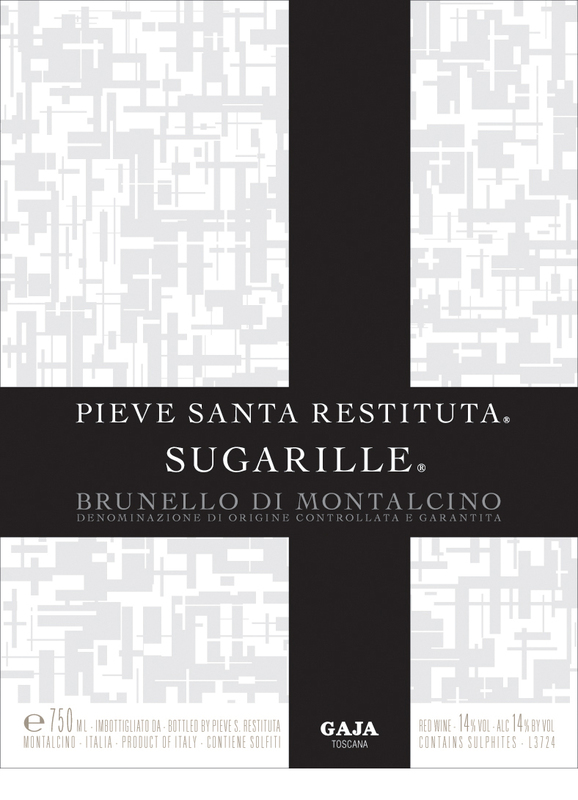 Pieve Santa Restituta’s top growing site, Sugarille. Vineyard notes: According to archives found at Pieve Santa Restituta, the Sugarille growing site was already devoted to the cultivation of grapes for wine by the mid-16th century (1541). The name Sugarille (SOO-gah-REEL-leh) is derived from the Latin suber (sughero in Italian), meaning cork oak, possibly because cork trees were found there. 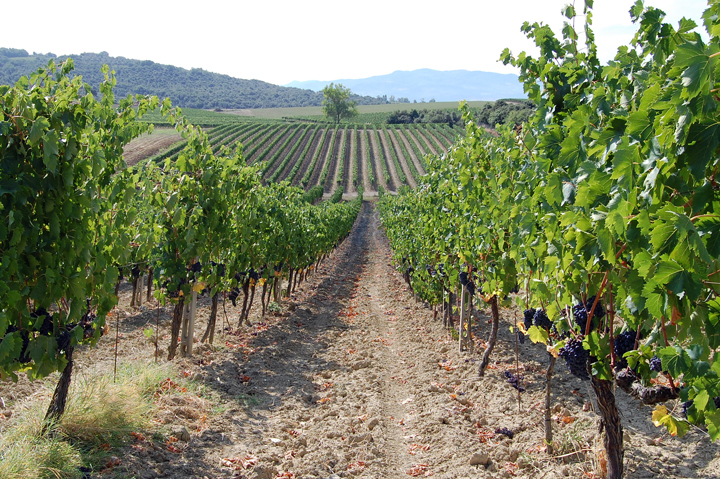 Here, in the estate’s top growing site, white rocky soils (poor in nutrients and rich in calcareous clay), excellent drainage, south-western exposure, and ventilation arriving from the Tyrrhenian sea to the west create the ideal conditions for a long-lived, structured expression of Sangiovese Grosso.